The power of a photograph compared to a painting comes from its ability to replicate a scene in a believable manner. A simple click and a scene has been captured. The nature of photography relies on the illusion of reality. When people look at photographs they believe what they see and feel it shows a true moment of time. Photography collects light and the technical process is similar to how our brain receives information from our eyes. 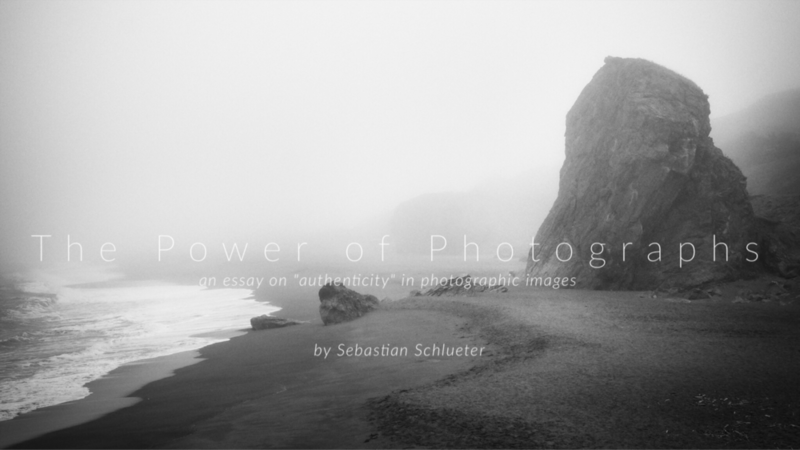 The success of photography is closely connected to the ability to provide the viewer an illusion of reality. This visual quality could be called authenticity [from Wikipedia: Authenticity concerns the truthfulness of origins, attributes, commitments, sincerity, devotion, and intentions.] in regards to the original quality of photographic material to replicate an illusion of reality.